I went to school with Linden in a small Cape Breton community about six miles from Creignish (which, by the way, can not really be described as an “outpost” ). I know some of the people on whom MacIntyre bases his characters. To me, they are people real but the entire sordid crimes of the priests were unknown to me at the time as they probably were for MacIntyre as well. Having grown up in the book’s setting, I found it a very easy-read. I had MacIntyre’s mother as a teacher and know she has a very strong faith. She probably is not pleased on the light shed upon this dark side of the Catholic church. Although the man used by the bishop to do the church’s dirty work was obviously part of the sick conspiracy of silence, we are left to feel a bit of sorry for him and his tortured conscience. I see him as just another damaged individual smothered on the path of tainted mother church. 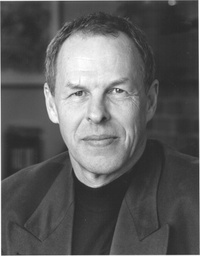 As you are probably aware (particularly from Linden’s novel), the best fiction has a biographical component. However, it is particularly cogent when one knows and has grown up in the same milieu as the author. Subtle nuances we outsiders can only assume exist, must therefore jump off the page for you. How lucky! I am only passingly familiar with Cape Breton, but having been born and raised in a rural community I ‘recognized’ many of the character-types. I also had a rather close connection with the Christian Brothers, so I am well aware that piousness is not necessarily godliness. Gerry Burnie’s comment about the confusion brought on by the Hondouras flashbacks in The Bishops Man is valid. However, is not that the point? Confusion….confusion on the part of the narrator. 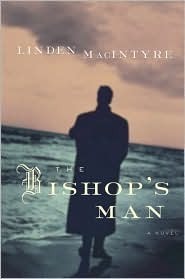 It has been a while since I read “The Bishop’s Man” so I am vague on detail. However, I think my comment was that the flashbacks were disruptive to what was otherwise a pretty smooth read. I note as well that other reviewers commented likewise regarding this aspect.